Learn to write sparkling copy that makes history. 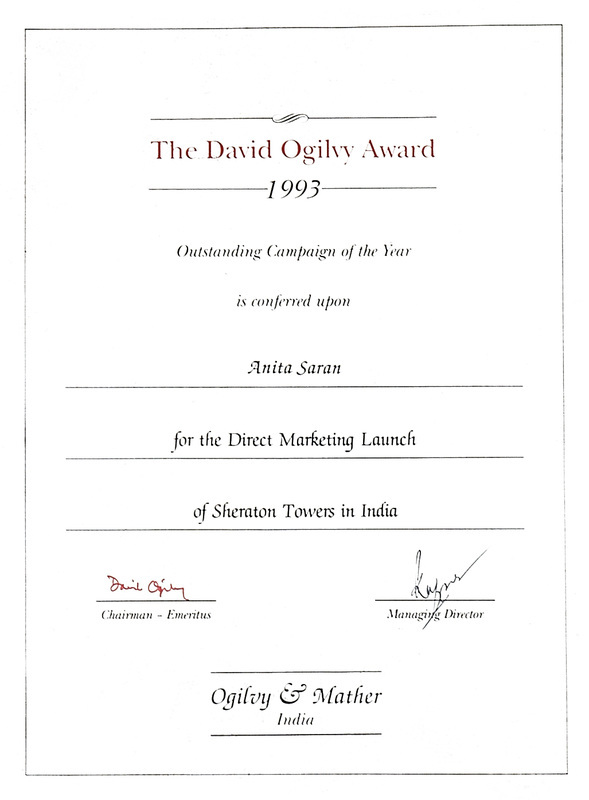 The David Ogilvy Award winner, Anita Saran has had 28 years in the business in agencies like Ogilvy & Mather where she spent 11 years. You’ll learn what makes an ad persuade and motivate, how to write headlines that grab attention, and body copy that never bores. Anita has taught a copywriting workshop at the Times of India, Bangalore and now teaches via email. "When I walked in on the first day of Anita Saran's Copy Course at Times of India, I was crossing my fingers and hoping that it's not one of those mundane workshops that one usually gets to hear about. And as it turned out, I wasn't disappointed at all. Anita naturally puts you at ease, and you soon realize that this is going to be fun all the way through. And fun it was! She took us through the basics of copy-writing, made us analyse ad campaigns, played inspiring films about the mad-ad world, cracked jokes throughout, and involved us in each writing exercise. I walked in to the workshop wondering if I'll ever be able to write a half-decent ad, and Anita Saran not only helped me write one, she erased those doubts in me forever. The place to be if you want to see whether ad copy-writing is your thing or not."